Whatever your heart, tastebuds and stomach desire, the team at Elixir has you covered. 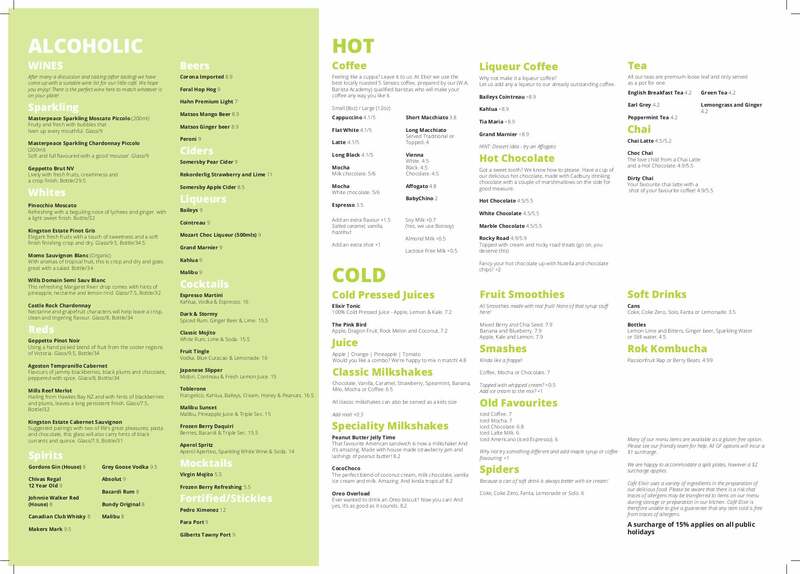 Cooking a huge range of naughty and nice goodies, amazing 5 Senses coffee and a wide range of icy beverages, we are sure that there will be something on our menu to tick everyone's box. Don't feel like leaving the couch to get that Elixir Fix? You don't have to!! We can deliver to you on a Friday and Saturday night via UberEats, Menulog and our favourite, just giving us a buzz and you can sit back and await heaven!